Don't Be Alarmed, but Get Up! There is a device at the head of my bed with which I have a love/hate relationship. It gives me a degree of comfort - the kind that comes with discipline and safety while also being an enemy to my comfort. The very name of the device evokes images of fear, terror, shock, and awe: ALARM. "Don't be alarmed," is a common way of assuring people that there is no reason to be disturbed, frightened, or unsettled. But that is what my alarm clock does to me every morning - so much so that I often wake up on my own to avoid being jarred from my rest by its sudden and obnoxious emission of offensive sound. So, I subconsciously avoid hearing it, wake up in a sluggish manner, turn it off, switch it to radio, and listen to the news while I wake up gently. I've been known to wake up every half hour or more and look at when I am scheduled for an extremely early morning assignment. I've been known to shake it and perform other bizarre behaviors surrounding it in my half-wakeful, half-asleep states. No one likes to be alarmed. However, I need this backup plan. The demands of our lives mandate a reminder that it is time to wake up, get up, and get going whether we are ready or not. We have appointments to keep, jobs to do, and responsibilities to administer. We simply have to wake up and we may need some sort of alarm to assure that we do. So, what is there to be alarmed about every morning at 4, 5, 6, or 7? What are the requirements and where is the wiggle room (the snooze button factor)? We are to be alarmed at the possibility that we will miss the possibilities that the day has in store. Of course, there are practical considerations such as loss of job, missing classes, not getting the kids to school on time, and having to rush through breakfast and quiet time, but the real issue is possibility. Every day has something in store to be embraced with enthusiasm and wonder. Missing that something is cause for alarm, so we sound the alarm at a predetermined time. You needed no alarm as a child for Christmas morning, but now, as old fuddie duddies who have lost some of that childlike wonder, we need a little help. What are the alarms in your life that alert you to wake up to the possibilities around you? They are not always pleasant to hear. They may help you wake up on your own to avoid hearing them. Yet, they are necessary reminders that life is good and that this day could be a major turning point in your life. Wake up. You may meet the person today who hands you a key to a great mystery or a marvelous future. You may read one idea or hear one insight that will unravel the tangled mess of confusion with which you have been struggling. Today is yours. Don't stagger through it in a flog of oblivious indifference. Don't sleepwalk through this day. If you miss the possibilities, that is something to be alarmed about! Thoughts, words, emotions, and promptings converge and none localized around any one soul. Is altruism an illusive and allusive fantasy? All anger bleeds acid. Sadness breeds sorrow. There are remedies. Remedies require energy from tired brains. Hope demands engagement. It is costly. But every alternative to love and grace is unacceptable. You've read the news. You've expressed shock and outrage. This is a recurring word in a recurring new world order. It is tiring and draining. So take a short break to regroup and get back to work. You did not call or hire yourself and you have no right to quit. Peacemaking is turbulent, messy work. Get messy. This is Kingdom work and it is not your kingdom. This is a note to myself. There now. I am glad I got that off of and back onto my chest. I am ready to face the day. But more before the end of pause and resumption of activity. God weeps. Friends weep. We weep. Spinners will spin but no one will win. There is no dishonor to those who do their jobs with integrity and courage by calling out those who abuse power or the systemic realities that make it possible. What happens when a young man or woman dies or masses die or some prominent leader dies ormanyone dies? This life was important.That life was important. The other life was important. Marginalized lives matter by name and category including the skin they are in because all lives do matter and all lives do because they do most when we can name the marginalized peoples whose value has been diminished. At some point, we need corrective words that seem to tilt the ship in one direction because we have grown so accustomed to our own tilt. He and she are irreplacable. They cannot be lost in a sea of "allness." God weeps. Let us weep. Change comes through tears because tears form a river of common understanding in which we all must sink alone or swim together. I am not called to curse or withhold a blessing. I may not be able to control the package the blessing comes wrapped in, but I deeply desire God's best for you ... The Very Best. There are no conditions from me. The Maker may have some in order to deliver the prize, but the conditions will be part of the blessing and not a payment for them. Grace to you. Have a magnificent rest of your day. Ignite it, God. Fan the flame and let it burn ... that it ... that something ... that investment you made in me by your grace. I am here. I have some things to do, but that is all I know about the agenda for the day ... dates, times, places, tasks. These are important, I know, but they are not the real agenda. You know that. You know why I got up this morning and why I am praying this prayer. Frankly, I wear a bit of confusion and uncertainty about today and tomorrow and the next day. Sometimes that feels like adventure. Sometimes that feels like being a bit unfocused or vulnerable. But that is OK. I have learned by faith and experience that you are guiding me in ways that I can only perceive through reflection and observation in the moment. I trust you. I want to truly love you today and serve you and I sense that I must do that by loving the ones you love so much. Love them through me. I expect to encounter some difficult people, some folks for whom love will not flow naturally for and from me. It will just have to come from you through me and, for that, I am available. In that process, change my heart. Make me more loving in a spontaneous way. I want to follow Jesus today. I want to keep in step with Him and see things the way He does. I have opinions, preconceptions, biases, and more than a couple pet peeves. But I sense that He walks right through these leading me in unexpected ways. When I follow Him ... when I follow you, I end up in some very strange situations, sometime caught off-guard, surprising places where I discover that He is already working and I am at home. I can't explain this life, but I embrace it. Enter into my tasks, dear God. Enter and transform so that everything mundane job becomes worship of you. Take my mood swings, my crusty gruffness, my irritability, my selfish desires, and my quirky quips and nail them to the cross. One they and I have died, re-resurrect them and me into something usable for you. Thank you for forgiving me at my worst and loving me there,. Thank you for this new life and for all the precious companions you have brought my way to share my journey. Bless them. Some of them are going through very hard times, times and challenges that I cannot even sort out, pain I cannot imagine. Love them, Lord. I know you do. Love them through me. Meet them in their trials and lead them through. Bless your church and your churches, those that I am honored to serve and those that my friends serve. As we serve them, may we and I see your bride, Jesus, a people for who you gave all of yourself in sacrifice. May I discern your body, flawed on earth and perfected in eternity. May I learn to love your bride here especially in light of what she is becoming in you. It is a great mystery and I only perceive it in small doses. But I am praying that the body of Christ will somehow recenter, refocus, and realign itself with you and your purposes. In any way that I may be an influence in that direction, make me available to you. I also am flawed, very flawed, very vulnerable, imperfect, and needy. I limp to your altar. I am unkempt, unshaven, a bit battered, and joyfully expectant. Clean me up, Lord and send me out. Grace - I drink it and it rolls down my lips. I take it from your well and pour it all over me. Grace!!!! Gracious God! Thank you. What a mighty, awesome, fearful God you are. You are like the lion Aslan to me. Something says "stay away" as you roar. My natural man fears your power and worships you in your glory. But you draw me in mercy and love and I cannot stay away. What I fear calls me to come. What I dread compels me. What shocks me, creates in me a wondrous curiosity to love you and know you and the more I know, the more I love and the less I know and the more I know and the more I want to know and the more I know that I do not want to spend one second away from you or outside of this glorious calling. I don't have to figure it all out. If I follow, I will get it little by little and I will be where you want me to be because I will be with you and find you in the oddest places and circumstances. Keep my eyes open today for that sort of thing. There are many I desire to bring along on this journey and I have named there names before you. Others are in my heart and I bring them to you. Some are broken on the wheel of life and need mending. Some are deeply troubled and need peace. Some need healing in their bodies. Some are right here on Facebook, reading this prayer, praying it with me, and are included in the circle of love that is ever-expanding,. This prayer is for them as while ... my beloved .... Your beloved. Abba, Father, Dad. I did not really know how to pray today. You know me. You know I have days like that. Far from being a spiritual giant, I am a spiritual child, but you accept me and allow me to pray as I will and you meet me there and teach me there. This is private prayer in a quasi-public "place and there is much more within that is very private that I expose to you and you know and you meet me there. It is a Romans 8 sort of thing. But I sense that I am ready now, readier than I was a few moments ago. You have a word for me and I am going to read it, digest it, and get going. Please go with me as I go with you. In Your Son, Jesus' Name, my Lord, I pray. Amen. Perhaps, I sometimes get into life, meaning, and theological/philosophical thinking way above my "pay grade." Do you ever over-agonize the bigger, deeper, loftier issues in the land of awe and wonder? It is not a call the shallow thinking or disengagement of our intellect, but a reminder of the limits of our consciousness. We come to the end of our capacity where we integrate, frustrate, of meditate. It is there where we can emancipate ourselves from a world of care by becoming children again, resting as with our mother, not quite an infant, but not yet big kids either, just little children. There, we are hopeful. In a disturbing, confusing, complex, and deeply divided world, we are not going to figure it all out. We are set in a far more chaotic universe where the order of things does not always readily appear. But we must live daily and daily, we must make little decisions. How do we calm and quiet our souls when we want to take charge and fix everything and issues vie for our attention and everyone is shouting their own opinions at each other and we somehow long for non-synthetic synthesis and quiet? We keep ascending and we consciously, keep resting and hoping in God. And we keep reminding ourselves that some fixes will always be above our pay grades.
" A Song of Ascents. Of David. How do we become like the idols we create? What are the characteristics and limitations on the objects we worship that shape us into their own image? We make them in our images and find ourselves sucked into that place where we were when we made them and from there, we descend. But these are the the psalms that follow after the Songs of Ascent. We have arrived at the holy hill and we must decide what we will worship. We can still go higher, but not as long as we impose our own ideas, desires, motives, and biases upon our own worship. We cannot build our truth around our lifestyles. We must conform our lifestyles to truth. Not only our lifestyles, but our thoughts, our theological constructs, our worship, and our devotion must conform to truth. What we worship will always shape us. We will become more and more like what we worship or who we worship. If we worship what we ourselves create, then we are worshiping something less then ourselves (much more -- far less than God who created us). We will be worshiping that which, by nature, disintegrates and we shall disintegrate as well. It is not that we are not made in the image of God nor than our creations are made in our images. It is that, We are not God and they are not us. With each degree of separation, there is disintegration. We must aim for what is authentic and true ... and above us. If we worship that which infinite and eternal ... the potential for growth is eternally expansive. so do all who trust in them. " I was facing the day with excitement and dread. The excitement of anticipation came from the developing reality that the day was pregnant with possibilities and packed with responsibilities that I relish, opportunities for good and for exercise of my gifts. The dread was for the same reasons and the gap between the two extremes is that there is no gap. All gaps had been filled. The day was packed tight. I had not allowed processing time, down time, or preparation time. I entered that day as prepared as I would be and I turned on the engine knowing that it would run until bedtime. I am not sure that "dread" is such a bad word. It is like the fear of the Lord, the beginning of wisdom, the fear that dispels all other fears and depletes them of their power. This dread is in the knowledge that the day will be demanding, awesome, and somewhat unknown. How do I make this DREAD work for me in meeting the demands of my life today? D - Dependence - Everything about a demanding day points toward our dependence on some positive things - God, our teammates, our preparation, our inner resources, our conviction that what we are doing is true to our calling and must be done. R - Reflection - That is what I am doing now - before the day really begins. We build it in upfront or we die. I am way too busy not to have read scripture and prayed this morning. There are far too many demands on my life today for me to hit the ground running thoughtlessly or haphazardly. E - Eagerness - I am truly eager to embrace these demands because they are part of the reason I am on this planet. I was born to do the things I will do today. My dread is really more about what will be left undone, the things I must postpone, and the nagging suspicion that I am not quite ready. Eagerness allows me to embrace the wonder of what God will do in spite of and sometimes, because of my inadequacies. A - Acceptance - The day has begun. I have just a few minutes to wrap this up, grab a shower, and get out of the house. The clock does not lie. The calendar is accurate. The day is what it is and things are scheduled. At any time, God can change everything, but for now, I accept that it is what it is. D - Do It! - It is time to begin. I can wimp out or step up. If I wimp out, it will not be the first time, but it will also not be the last. It will make it easier to quit next time and that is something I ought to truly dread. Just do it. Take a deep breath and step into the day with both feet. As I will find pockets of rest, moments of refreshment, and much energy for whatever is demanded. Whenever I am caught up in the middle of my calling, I am renewed. We've been resisting the same sucking vacuum since the first century. It is shaping the gospel of the kingdom into the framework of our old thinking and commercial/political/cultural (whatever) interests rather than allowing it to shape us into a new way of thinking, living, and relating. We are predisposed through our old nature to accumulate and celebrate our own power and wield it over others. It may be the power of position, money, influence, or control. It may be spiritual power that we want for our own purposes. But power exists as an outflow of God's nature and for His purposes and He entrusts it to us freely to serve Him and to serve people. Simeon's money was doomed to perish with his thinking and his very life if not transformed. He needed and, after rebuke, sought a new way of thinking that started with humility. We are not safe people with power short of humility and an understanding that the gall of bitterness and the bond of iniquity are wicked and signs of a heart condition. Gall poisons us. Iniquity binds us. When we want, want, want what we want and lust for power over people, we poison and enslave ourselves. Like so many bad examples, Simeon provides a very useful mirror to our own souls about what we need to ask God to forgive and to change in us. "Now when the apostles at Jerusalem heard that Samaria had received the word of God, they sent to them Peter and John, who came down and prayed for them that they might receive the Holy Spirit, for he had not yet fallen on any of them, but they had only been baptized in the name of the Lord Jesus. Then they laid their hands on them and they received the Holy Spirit. Now when Simon saw that the Spirit was given through the laying on of the apostles' hands, he offered them money, saying, “Give me this power also, so that anyone on whom I lay my hands may receive the Holy Spirit.” But Peter said to him, “May your silver perish with you, because you thought you could obtain the gift of God with money! You have neither part nor lot in this matter, for your heart is not right before God. Repent, therefore, of this wickedness of yours, and pray to the Lord that, if possible, the intent of your heart may be forgiven you. For I see that you are in the gall of bitterness and in the bond of iniquity.” And Simon answered, 'Pray for me to the Lord, that nothing of what you have said may come upon me.'" What is remarkable about the story and the reason for its retelling by the gospel compiler, Matthew, is the person being addressed. 1. First, she was a foreigner who was (a) the object of hostility and (b) outside the scope of Jesus' immediate (but not ultimate) mission focus. 2). Second, she was astute to Jesus' humor and saw beneath the words being spoken by Jesus to set up a teachable moment. He might have seemed to be putting her off or putting her down, but he could tell she would not be deterred. 3) Third, she was not easily detracted. She had a real need for her daughter's well-being and she was not going to take "no" for an answer. So, she got in touch with her sassy, witty side and responded in kind. Jesus interpreted that as faith. Matthew does not record the smiles and winks, but if you read between the lines, they are embedded in the dialogue. Matthew 15:28 :Then Jesus answered her, “Woman, great is your faith! Let it be done for you as you wish.” And her daughter was healed instantly. "Men think highly of those who rise rapidly in the world ..."
There is a slow rise and a rapid rise. To these we must add, there may be no rise. Fluff floats and then gloats in its meteoric success, but may not sustain under stress and testing. Fame can make its name through crisis, accident, or blame when opportunities are seized. But it is the long haul, the consistent call, the persistent hope and labor languishing in the heat of many days that produces steady growth in character and success. Those who stay and stabilize their work for others to continue, stand and climb. Those who rise quickly, must quickly act to build a foundation in the empty space beneath their feet, lest their decent be as rapid as their rise. With far less fanfare and flair, others build their foundations step by step and step on the next step as they move toward their objectives. As their circumstances change, they may not be aware that the greatest changes are within them. As they grow, their work grows. Doubts giving birth to deeper faith: This is the ministry of perplexity. This is the simplicity of complexity and the complexity of simplicity. This is the resolution of struggle in the quest for that rest that will not rest in easy answers or shallow understanding. Gravity is drawn toward the pebbles on the surface, but truth calls to the deeper rocks hidden beneath that surface. Peniel nights where we wrestle for the blessing. Salvation is free, by grace, through faith, but growth in faith is a pricey proposition. It stretches us and then, settles us till the next quake and opportunity to dig deeper. This is one of those stories from children's literature that is almost always sure to bring a tear to my eye. I have read it aloud so many times and it continues to touch me at the depth of my soul. So many people stagger through life in an unreal shell of a persona. They struggle with fear of rejection or repulsion at the idea of the pain they might have to suffer in the process of becoming authentic. The pain is real, and the risks are real. However, the rewards are also real for being real. 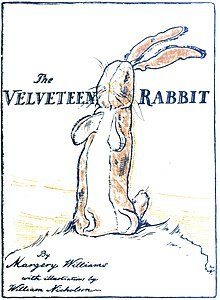 Ms. Williams published The Velveteen Rabbit in 1922. When Margery was seven, she lost her father in a sudden death. Throughout her life, there was a thread of pain, suffering, and sadness in her writing. Yet, she affirmed that through pain and adversity, hearts become more human. Though English by birth, Margery moved to America with her family at became inspired by the innocence of children against the backdrop of the war to end all wars. The great theme of The Velveteen Rabbit is becoming real. "...once you become real, you can't be ugly, except to those who don't understand." And so it is among the battle scarred, war torn, life worn, love lorn souls who face and embrace life. Being real is a thing of great value and a gift of great grace from God. To reject our authenticity is to reject wonder. To reject wonder is to reject life. To reject life is to reject Him. This woman had been summoned to a new mission, a higher calling. She received the call and bore the call with passionate conviction and urgency. The call is upon us and on our lips, but if it is to be heard by the people of the cities, we must leave our water pots and deliver it in person. Why do we abuse power? I think it would be dangerous to oversimplify the answer, but we have some hints. We do not understand power or appreciate its purpose. Power is given to any of us for the purpose of service. We are entrusted with it, but it is not ours. It is a stewardship, but we grow possessive of it. That is when we get into a danger zone. What we think we own, but suspect we do not, we grow to like too much and we start to defend it at all costs. We divide the world into friends and enemies of our protected power and quest for more power. Our addiction to power, like any other addiction, causes us to act irrationally and even brutally. We cannot handle power unless we work to maintain the attitude of a servant who is merely a steward of power that is not our own. It can happen any time, to any people, anywhere that abuse of power becomes institutionalized, justified, and memorialized. Even if it grows out of a good cause or a noble endeavor, we must handle power as the powder keg of potential abuse that it is. Peace, love, joy, faith, courage, trust, grace.... God is present. God will see protect me. I stumbled on this thought within my own mind about 12 years ago and still practice it. F - Face it. The job isn't going away. It isn't getting easier. You will never get a perfect inspiration. Face the task and start. A - Act on it. Start thinking and writing. Just put your fingers on gthe keyboard and see what they do. The finger bone's connected to the brain bone. S - Say whatever comes to mind as you begin. Don't edit yourself - at least not yet. There will be time for that later. T - Terminate. Whatever you have when the time is up is what you have. Walk away and come back to it at another time. If it isn't obscene, ridiculous, or illegal, post it. That is what I am doing right now. I had no idea what I was going to write 5 minutes ago. I made this up and I practiced it and I am going to click the SAVE button now and head out to my next appointment. I'll clean it up later. FAST - Face, Act, Say, Terminate. The call came just as I was ready to start my class one night. "Why are you calling me just before Bible Study to tell me this?" You will be able to guess the answer in a moment, but I will tell you that it was restrained when compared with what it could have been. I had spent the morning working at home and I was deeply engaged in a project, lost in research as I can often be. Glancing at the clock, I realized that it was no longer morning. In fact, it was 1:15 P.M. and I had a graveside service in 45 minutes. I hurried to get dressed, threw some clothes in the washer, and rushed out the door. The rest of the afternoon went quite well except for this: I had washed a pocket full of notes and a memory drive. I had done so with someone else waiting for the washer who had to put my laundry in the dryer, clogging it and drying the remains of my notes, my pen, and a surprisingly still functional memory stick. I had also left the coffee pot on. I had the contact information for about 15 people in that pocket and it all came out as lint. I sent out a general message: f I don't call you, please call me. I also had two checks there. So, I backed off quickly on the question: Why did you call? I tried to find a way to incorporate it into my study and closed the evening holding my baby grandson. When I did that, nothing else seemed to matter much - except that I sure hope I don't do that again. It may be August, but today’s reading takes us back to a Christmas decades ago. That morning, those servicemen may have read the paper, marked their calendars, and reveled in anticipation of open homes, churches, and events where they would be welcomed as honored guests. Perhaps they imagined the tastes and smells of Christmas and were comforted from their loneliness at being away from home and family. Perhaps they remarked that it they had to be away, Hawaii was the best assignment they could get. It was a Sunday. Some were still sleeping. Others were finishing their second cup of coffee. Some were on duty when, at 7:53 AM, the first attack came and caught them all off-guard. But God was not caught off-guard. Nor was He absent. Everything within God’s care takes place in the fullness of time where He is actively working out His purposes. He may not bring about every disaster, but Christmas bells were ringing around the world reminding humanity that He is always present in the midst. The other makes us stronger. Choose love and stand tough. Mr. Bowden was our church organist in Fremont in the 80s. 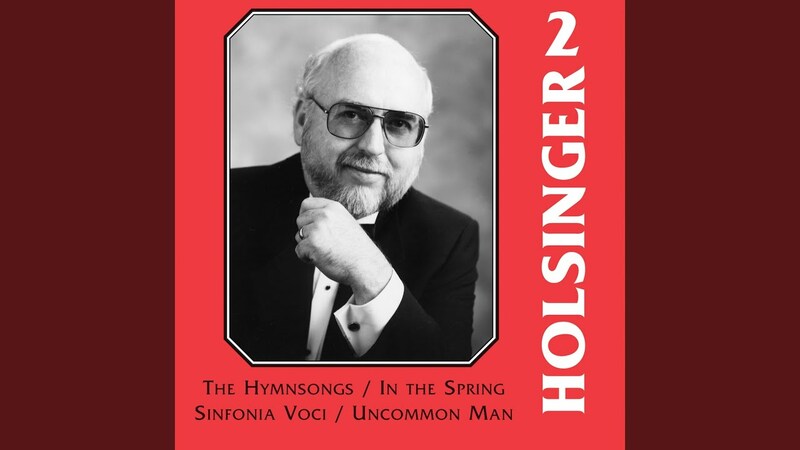 He played the organ for us into his nineties and died with an alert mind and a bellowing voice. He practiced his organ just outside the door to my office and I could never sneak past him without him turning on his stool and posing to me some searching question of the day. "Paaaastor," he resounded, pointing his feeble finger at my heart, "Do we really know who Jesus iiiiiiis?" If the finger was still on my chest, I had learned, it was not time to answer. It was time to ponder. If he had wanted a glib answer, he would have lowered his hand. Actually, he would have never posed the question. Ralph Bowden wanted me to go deeper. He wanted me to understand that while I could know Jesus, I could not contain Him in my mind. I could not summarize His life. I could not box Him up and package Him for mass distribution. This great man who had lived more years, read more books, and thought more thoughts than I have until this day wanted me to understand that I would never fully understand. He was encouraging me to become a life-long seeker. It Seems to Me... Bruce Alderman is meditating here about the basic core issues of belief in his own life - namely why he believes in God and why, further, he embraces a belief in Jesus Christ. It Seems to Me...: "So who is right and who is wrong? Isn't that what religion is all about? In a word, no. It's not fundamentally about being more right than anyone else. It's about responding to God's call and being faithful to that call, however the call comes and wherever the call leads." Rightness and wrongness might appear to be essential questions, but Bruce suggests that the relational question trumps them. It is what E. Stanley Jones called, "The Divine Yes." We start there with God and we can sort out the details as we go along. Ralph Bowden would have approved of Bruce's mediations.
" ... Pilate once asked, "Who is this Jesus, why is He different"? This question has been the central question of our Faith for Centuries. Now all around the world as people who are just trying to survive look at richly blessed American Christians - Who is the Jesus they see? Do they see the Gentle Teacher of the Beatitudes, or do they see the American Christ? I am sadly afraid it is more the latter than the former." Are there any other options, I wonder? Certainly, He is the Gentle Teacher, but He is also the fierce lion who takes the form of a spotless Lamb. He is the Christ of paradox who will not be contained by our imaginations. He is certainly not the Grand Master of American civil religion though. He is more than I can conceive of. He is the Master who will not be mastered by my intellect. So, He is the Lion/Lamb who calls us to Himself, the Divine and Human High Priest who has been tempted in all points as us, yet without sin. I was speechless that day with Mr. Bowden, just trying to get to my office to do something trivial. I have long since forgotten every other activity or thought of that day. I will never forget that encounter or the great man's booming question. "Do we really know who Jesus is?" Not entirely. We know what we've been told in the scriptures and what we have discovered in relationship, but that is just the tip of a gigantic iceberg. See The Jesus I Never Knew by Phillip Yancey and anything else you can find by Yancey for that matter for a fresh approach to merely every topic he addresses. Jesus asked the right question, "Do you want to be healed?" The man heard it through his own filters and thought his answer was contingent on his preconceptions of getting in the water. That was not the case. Right question, wrong answer, but Jesus did not give up and the man was healed.
" Now there is in Jerusalem by the Sheep Gate a pool, in Aramaic called Bethesda, which has five roofed colonnades. In these lay a multitude of invalids—blind, lame, and paralyzed. One man was there who had been an invalid for thirty-eight years. When Jesus saw him lying there and knew that he had already been there a long time, he said to him, “Do you want to be healed?” The sick man answered him, “Sir, I have no one to put me into the pool when the water is stirred up, and while I am going another steps down before me.” Jesus said to him, “Get up, take up your bed, and walk.” And at once the man was healed, and he took up his bed and walked." "Now that day was the Sabbath." The last statement brings up a whole different subject and yet, the main subject of the story - how we get locked in by our limited thinking and the boxes in which we try to fit God. Biting the Bullet and Getting It Done! Sometimes, you just have to bite the bullet and get it done. According to our friends at Wikipedia, "To "bite the bullet" is to endure a painful or otherwise unpleasant situation that is seen as unavoidable. The phrase was first recorded by Rudyard Kipling in his 1891 novel The Light that Failed." You know the way it goes. Some jobs take 3-6 months and two hours, and sometimes only five minutes over the initial gearing up period. However, they require some significant teeth marks in some hard metal bullets. The tasks are just extremely difficult to contemplate and somewhat disappointing to brag about while deeply gratifying to have completed. Cleaning my desk, for instance, has required a holster full of bent bullets with tooth impressions profound enough to constitute a complete dental exam. I was, frankly, overwhelmed and that was the first battle. Moving from despair to hope is such a leap of faith, but it is 90% of the battle and takes 99% of my time. Once I started, I began to sense of snow-balling of hope. Now I sit at a clean, well organized desk. Ambiguous items are stuffed in a box for later examination and a more emotionally detached decision. I wonder how long it will last - probably not as long as it took to make it happen. This seems to call for an acronym. Therefore, I will attempt one: BITE the B (The bullet, that is). B - Bury your apprehensions. Whatever is holding you back seems worse than it is. I - Inhale. Come rested and just decide to do it. T - Take time. Give the task a reasonable, but not overly extended block of time. In fact, a bit of a deadline could be helpful. E - Energize. Start your engines. Feel them rev up. You are tuning your mental faculties toward your physical demands. T - Test the waters. Start with a small piece of the task that you could do and it would be enough if you decided to quit for the day. H - Hands on. Touch your project with both hands. E - Enter into the "doing it now" zone with your whole body and soul. B - Begin in earnest. There is no substitute for starting. Once you have started, really started, you are less likely to quit. Bite the B! Get it done! The world is a bright and vibrant living space pulsating with colors and sounds of vitality. The love of God is bright, vibrant, musical, and very colorful. It has depth, breadth, and creativity as well as variety and a reach that reaches.t past our own imagination. Even more than any sound or color frequency spectrum, it is boundless. John 3:16 is the first verse we learned as children and the one that remains dearest to our hearts. It is the gospel in a verse. It is so familiar that it is tempting to treat it as trite. Any Christian world view must acknowledge how God sees lost humanity. They are the objects of His relentless and unfailing love. The extent to which He will go to redeem is shown in the life and death of Jesus. If you and I have been invited to join Him in His work and vision, it must include such love of the lost. God’s love is gutsy, giving, and gregarious. His call is to share His love with the open invitation to all to receive and believe. Visualize an individual, family, or neighborhood where lost people live. See the faces and view them through the eyes of Jesus. Imagine their lives changed by His liberating love and grace. Ask God what part you and your church play in actively and sacrificially loving them. Destructiveness is often seen as actively malicious behavior such as swinging an ax in a room full of glass, but the Proverbian suggests that passive aggression is just as destructive. He specifically refers to that passive non-behavior of the one who avoids, evades, and glosses over work. If you are working for someone else, you destroy that person's business, perhaps little by little, perhaps in big blocks of potential productivity. Destroy his business and destroy his prospects for building a better life for his family and providing jobs and opportunities for others. You also destroy your own reputation and prospects for future employability. You could make a mistake through slack work that could cost lives as well as money. Time is lost. Dreams are flushed down the drain. Much is destroyed. It is dishonest and larcenous to withhold work for which one is being paid. "Slack not lest thou be sacked." If you are in business for yourself, but not by yourself, you destroy your own business, waste your investments, show contempt for your sponsors and mentors, stealing their time, and destroy relationships with your partners. All of these things are true if you are alone in business, except that you are hurting yourself and your family most, but also all the people you could have helped, mentored, challenged, and inspired buy your success. All of this stops short of acknowledging that God has a purpose in your work for which you need to be fully engaged and to which you must be fully committed in order to fully participate in. Power and miracles accompanied the proclamation of truth, but still, it was the truth that mattered and the truth that stood out. There was a message in the manifestation, not magic. But magicians, being opportunistic manipulators of power sought the power to manipulate the masses. Wealth, power, prestige, and honor were at the heart of their motivations and trickery. In the thwarting, there was a propulsion of manifestation. The power brokers and superstition purveyors were left standing naked. Does this ever happen today? God did extraordinary miracles through Paul, so that when the handkerchiefs or aprons that had touched his skin were brought to the sick, their diseases left them, and the evil spirits came out of them. Then some itinerant Jewish exorcists tried to use the name of the Lord Jesus over those who had evil spirits, saying, "I adjure you by the Jesus whom Paul proclaims." Seven sons of a Jewish high priest named Sceva were doing this. But the evil spirit said to them in reply, "Jesus I know, and Paul I know; but who are you?" Then the man with the evil spirit leaped on them, mastered them all, and so overpowered them that they fled out of the house naked and wounded. When this became known to all residents of Ephesus, both Jews and Greeks, everyone was awestruck; and the name of the Lord Jesus was praised. Also many of those who became believers confessed and disclosed their practices. A number of those who practiced magic collected their books and burned them publicly; when the value of these books was calculated, it was found to come to fifty thousand silver coins. So the word of the Lord grew mightily and prevailed. There is not a single human being who does not need periodic attitude adjustments, tunings, and reminders. A little tuning can make a big difference in our businesses, ministries, and relationships. Use AN as a guide if you like and get back to me with the results. I am as efficient at the art of procrastination as anyone I know. I know that you can put off a decision until it is irrelevant. That way, you never have to say "no" or commit to a "yes." I am proficient at avoiding a task until the last minute and renegotiating my schedule with myself many times a day. I also know that this lifestyle is stressful and often, unproductive. For that reason, I have been working on the issue. For instance, there is an emerging sense of the power of a moment to whittle away at a long-term task, the energy of a few minutes focused on a job that may even facilitate completion. I can do something now that will have far-reaching benefits. I don't need a full hour for every task, nor do I have to schedule it in the future. II Corinthians 6:2 puts it all in a theological context, "...I tell you, now is the time of God's favor, now is the day of salvation." I was playing with my calendar this morning and had spent considerable time scheduling small and large jobs, appointments, and events. In frustration, I realized that I had not scheduled a significant time slot for writing my blog and had, in fact, missed several days. Then, there was that inner voice whispering in my ear, saying, "What about now?" "But I don't have enough time?" "You have some. 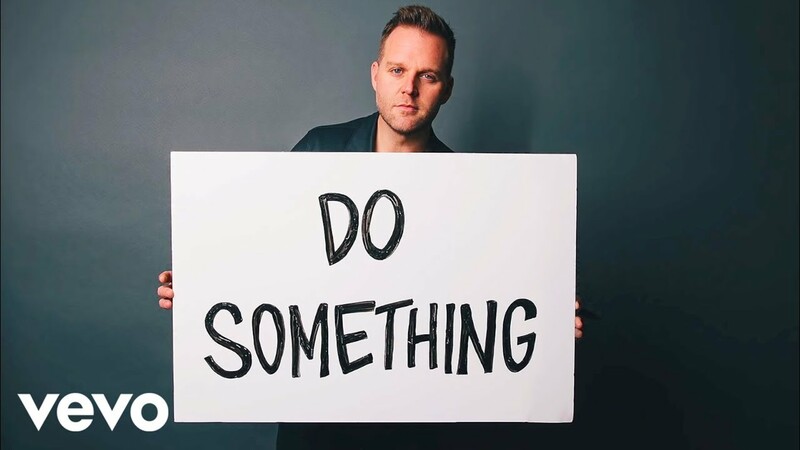 Do what you can." So, here you are. That was 11 minutes and I am glad I posted something. Cards on the Table: What Are You Selling? Let's put our cards on the table and have an honest conversation where we can find mutual benefit. I know it is a bit crude, possibly rude, but I get a lot of phone calls where we have to go through the "beating around the bush" dance for a few minutes and I am always friendly about the question and not necessarily closed-minded. I ask within a few seconds, "What are you selling?" And I try to let the folks on the other end of the line know that I don't think "selling" is a dirty word. Is it an idea, a product, a service, or a "gift?" Do they want an appointment, a commitment, or an opinion? I want people to know that they have a legitimate self-interest in calling me and that I know it and that it is OK. It makes for a honest conversation. Even if their self-interest is the sense of satisfaction in doing a good thing, let us put our cards on the table. I don't need to know their profit margin, but I know that they cannot stay in business without one and if they cannot stay in business, I don't want to do business with them because their after-care will soon dry up. I want to spend my money with people who know how to make a fair profit. I need to process this call quickly because I am probably in the middle of another project, perhaps even a bright idea that will never pass through my mind again and needs to be captured, interrogated, and released. Win my goodwill by respecting my time. I am inclined to give both in an atmosphere of mutual respect. Maybe you are selling an idea. That is good. You will be measuring profit differently. If you are selling the gospel, it may be out of sheer gratitude for what you have already received and love for humanity. If you are selling a social or political idea, your motive may be that you really believe society will be improved and your family's life will be better if I adopt your way of thinking. Let's cut to the chase. I have no problem with the fact that you are selling something. I have a problem with you denying it. And don't be surprised if I try to sell you something while I have you on the line. On a restless summer night in a pool of my own perspiration, I dream. In the quiet slumber of an October evening, I dream. In the quickening of the morning and the settling of the evening, I dream. And when I am awakened and as I move through the appointed day, my dreams do not die. Yes, they are tamed by civility and harnessed by realism, but they persist through the day. My dreams have been cooled by the drenching rain of discouragement, but not quenched. They have been temporarily diverted by the icy onslaught of negative criticism and stilled by the paralyzing power of self doubt, but they emerge from the cold and persist. I dream on. I refuse to stop dreaming. I do not subscribe to the “All your dreams can come true; it can happen to you if you’re young at heart” philosophy as much as I love to hear and sing the song. But I believe that our core dreams can drive us on to their own fulfillment in us as we submit to the One who has given them to us and who alone knows how to interpret them in our lives. I believe that we were made to dream and that our dreams are the impulses that alert us to our significance. Yes, dreams can become distorted, self-centered, and wrongly inflated, but those distortions point to a deeper reality. Just as perversions of reality validate reality, dreams off center cry out for centering. I dream on because my dreams are the impulses that validate my living. They remind me that I am not an accident, that my life has meaning, and that I am a part of a larger dream. And if dreaming is so vital for me, I want to help others dream and refine their dreams, fleshing them out with goals and strategies, reinforcing them with prayer and conforming them to God’s will from whence their essence is derived. I dream of a life as an encourager of the dreams God has planted in your heart. That is why I will spend the rest of my life and ministry as a Pastor-Coach. I am not where I want to be. But I believe that where I am is not where I am going. One of the characteristics of the new believers in the Jerusalem church was their generous hearts. They did not consider their time, possessions or personal gifts their own. Whatever they had, they submitted to God an it became available for the Kingdom. The church was not an economic utopia, but a body of Christians, freely associating and freely giving themselves to God through Jesus Christ. Our lives are more complicated today. We have financial advisors and career paths, personal assets and discretionary time. Our day planners are filled with events that we must juggle to “make time” for ourselves. We have carefully detailed maps of our futures and we wonder where the wonder went. There was a freshness and awe in the early church that came from the loose fist. Those believers did not hold things tightly in their hands and God was able to use their flexibility and generosity. So, He can and will use us today if we will rediscover the wonder. I have boxes of notes. Some are disorganized, categorized incorrectly, and undated, but they have had and may continue to have a function in my life. Of course, it is always best to have a good filing system, but until that comes into play, keep writing down your thoughts. Keep making "to-do" lists. Write down your dreams, goals, objectives, action plans, deadlines, and strategies. Use symbols, shorthand, words, and misspelled words. Write all over the paper or napkin. Stuff it in your shirt pocket. Look at it if you have a chance. Lose it if you must but start by writing things down. Eleven years ago, at an unnamed restaurant named for some guy named Benny or Lenny or Kenny - something like that, I had a very disappointing experience. Know this: I am a D****'s fan and this group I was with had been going to that same spot at the same time for eight years. We knew the people - most of them - at least until recently. Recently, they got a new manager and the first order of business was to require our favorite waitress to stop wearing her signature flower in her hair. How do you spell "rinky-dink?" This woman is one of the reasons we keep going. She was D's for us and that flower was her identity. It was her smile. It was her way of describing her sunny outlook on life. That was disappointing. Then, we were served by a very sweet, enthusiastic waitress last night who bounced in once or twice and had to receive some very distressing news of our unhappiness with one issue: we only received half of a milkshake! Apparently, this was the training that the new, "progressive" management had initiated - no individual expression, standardization of everything, and half a milkshake for the same price as the old product where we received "seconds" in the metal container. I am not a complainer and I left the sweet girl (who didn't refill the all-you-can-drink drinks or bring us our bill) a nice tip. It was not her fault. It may not even be this manager's fault. It may have been no one's fault - but it does make a pretty good subject for a blog on how not to succeed in business over the long haul. We went back - a time or two, to give it a fair shake (and hopefully I can get a fair shake). However, I could not promise anything indefinite. There are too many places that bend over backwards to make the customer feel happy and part of the community (How to you spell STARBUCKS?). Here is the question: Are you in whatever you are in for the long haul? If so, you are interested in happy people who keep coming back ... and in residual income. Whether you represent a church, a network marketing system, a brick and mortar business, or some other endeavor, the secret to customer satisfaction is first, giving your customer a fair shake and then, going well beyond that to the point of surprise and delight. I know it is August. over 100 degrees, and California is on fire. But it is New Years Day - exactly one year since the last day of this month with this number and a year before the next. Mark the year wherever you will because new life can begin any day! Every year, against the backdrop of the Christmas story, we meditate upon John’s testimony to the significance of the Incarnate Word of God. The Spirit descends, the record is borne, and the Lamb of God is revealed. It is a transitional moment of transformational power. The formative years of Jesus’ life are complete and the babe we left in the manger is now a man who knows who He is and what his mission is on earth is to be. It is the conclusion of the Christmas story and the beginning of a ministry that will culminate in His passion. 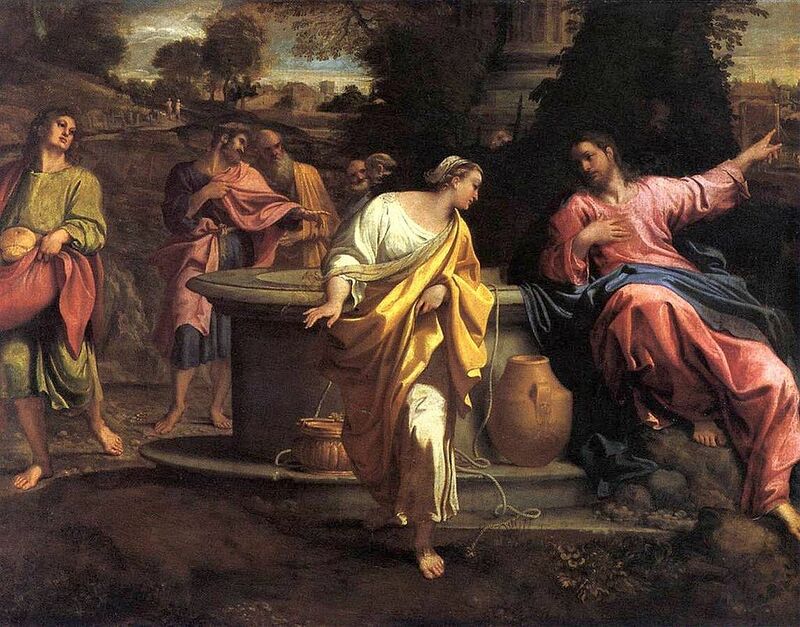 Jesus comes to John to be baptized and His baptism is a celebration of new life and new possibilities. He stands with sinners though He has never sinned. He enters into the symbol of repentance for the sins that we have committed. He identifies intimately with humanity and in that act of identification, God sends forth His own Spirit to visibly and dramatically identify with Him. The old is passing away. The new has come. From now on baptism will mean something entirely different and no one will need to be imprisoned in their despair of sin. New years had come and gone for centuries with their twin commemoration of the Day of Atonement. This was no mere new year. This announcement was of new life! Some translate the word, “Look,” but the meaning is the same. We must linger over the vision of Jesus and stare into His eyes. We must be captivated by His presence so that to even blink we would disrupt the flow of His radiance into our souls. We must drink deeply of His beauty that transcends human comeliness. We must experience Him in all His glory and behold Him. In Jesus Christ, the Living Word, we have beheld the glory of the Only Begotten of the Father, full of grace and truth. God has allowed us to glimpse Himself and touch His own incarnate flesh. Why wouldn’t we stop everything else we might be doing and bathe in the wonder of a moment of Lamb of God? Written By Dr. B.J. Palmer, D.C., PhC. "Possible copyright status The Library of Congress is unaware of any copyright restrictions for this item." I am confident, after some research that this is in the public domain. Paul Myer also researched the question and published it. "Man, write that story you’ve told us. Write it so that every man may read. Send that message out into the world. If men will read that story, read and re-read, until it is written on their memories, if men will believe the message you bring, and then if they will but awaken that something within their souls that now lies asleep – I say if you can make men do this, you will have done more for mankind than any man or any thousand men have done in many, many years. Write it, man, write it word for word as you have told it here, so every man may read. Write it, man, write it." I had slept the night before on the cold, cement floor of the city’s jail. I slept as a tired dog sleeps, a dog worn out with a fruitless chase. All of the night before, I had walked, walked, walked – my pride keeping me from this place. And so the day had found me walking, aimlessly, looking only for food, shelter and work. This could not last forever, so that night I had stumbled down the low, narrow hallway of the jail, and been let into a barred cell with a hundred others. And there I had lain as one dead, on the cold, hard floor. "Well," he said presently, "suppose you were fed. What then?" I shifted my weight from one tired foot to the other. "I’d try to get a job somewhere," I muttered after a moment. "You’d try?" he asked. "Yes, try," I answered, "although there is little chance. Nobody wants men now. I'll try, sir. But I don't care for that now – it's food I want. I'm hungry. Can you help me?" A man joined him. They began talking of matters of mutual interest. I was shuffling away through the drizzling, miserable rain, when he called me back and handed me his card. "Man, go find ‘That Something’," he said, "and when you’ve found it, come to me." "Come to you for what?" I asked. "To thank me," was his answer, and he and his friend passed on. Ahead of me I saw another night in jail. Yet the day seemed longer than the night. It was warm in there. The hum of voices, the regular click, click, click of ivory, the occasional thumping of cue on marble floor – all this in time developed into a dull chorus of monotony. And then I fell asleep. I believe in God. I believe in miracles. I believe in visions as well. But it is only natural that I should have dreamed of "That Something" – so perhaps it was neither miracle nor vision. You will think it is a foolish dream; yet it changed my life. That’s reason enough for the telling. You may laugh at it scornfully; then my dream will do you no good. You may see in it what I saw; then you will take your place with the masters of men. This was my dream: I dreamed that I awoke! That is the most wonderful part of the dream; for in my dream I realized that I had been asleep – a long, long sleep from the very beginning of things – and I saw myself, there in the pool room, asleep. Then I saw myself start, my eyes opened, and I dreamed that I saw. For some moments I thought over what was said. Then I stammered, "How – how did you get there?" "I was born there." "Why have I not known you were there before?" "No man knows it," answered the voice, "until he awakes." "Are you in other men’s souls, as well?" "There is 'That Something' in every man’s soul, which can move the mountains or dry the seas." "Then you must be Faith!" "Yes," came the answer, "I am Faith, but I am more – I am that which makes men face the fires of hell, and win." "Then you must be Confidence, as well." "Yes, I am more than Confidence – I am that which makes the babbling brooks lift worlds upon their wavelets." "You are Power," I cried. "Yes, I am more than Power," answered the voice. "I am that which makes the wretched failure lift up himself and rule the world." "You are Ambition – I know you now." "Yes, I am all you say – Faith, Confidence, Power, Ambition, and more. For greater than all is ‘That Something.’ I am that which every man must find in his soul or else he will be but a clutter of the earth on which he lives." "But how can man find you?" "Even as you are finding me now. First you must awaken, then seek, and when you have found you must learn to control . . ." "Control what?" I asked, confused. "‘That Something’ . . . borrow it from your soul and baptize your life with it. Anoint your eyes, that you may see; anoint your ears, that you may hear; anoint your heart, that you may be!" "But tell me," I cried frantically, for the voice was trailing off to almost nothing, "how can I do this? How? How?" "This is the secret," came the voice to me as the whisper of a gentle breeze, "these words – 'I will'." My words brought back the dream vividly. I stood in the doorway, peering out into the rain. A boy with a dozen bundles stopped near me to shift his load. "I’ll help you, son," I said, and laughed gladly as I took half his load and started with him down the street. "Gee, mister, dat’s pretty square of you, all right. How far are you going this way?" "Where are you taking these things?" I asked. He told me. "Why, that’s right where I’m going," I answered in mock surprise. And so we hurried on our way. It was then the clouds overhead began to break. Before we had gone half way, the sun peeped out and the boy laughed with pure delight of it. "By golly, mister, she’s going to be some handsome day tomorrow, ain’t it?" "I will," I answered absently. He looked up at me, startled by my answer, started to ask a question, thought better of it, and, giving me another queer look, trudged on in silence. When he had delivered his packages, he turned back towards the thoroughfare; and he asked me, with the innocent impertinence of boyhood: "Say, mister, where do you work?" "Why, I’m working for you right now. It’s good to work, don’t you think?" "But ain’t you got no steady job?" "Yes," I answered firmly, "I will." Again he cast a queer look and quickened his pace. We went together to the store at which he worked. It was the largest in the city. We hurried through a doorway at the rear, and I found myself in a large room. A man stepped up to me and asked me what I wanted. "I have come here to work." "What department? Who sent you?" There were many men in there, packing boxes. Before I could answer his question, someone called him and he hurried away. I took off my coat, hung it on a nail, and started to work, following the example of those near me. A half hour later, the man who first accosted me passed. "Oh," he said, "so they put you at it while I was gone, did they?" "I’m doing my best, sir," I answered as I drove a nail with a bang. And so I worked until six o’clock. The sun was very bright outside. When the six o’clock bell rang, the men began filing by the clock. "What about the clock?" I asked the man in charge. "Didn’t they give you a number?" "No." Then I told him my name, he gave me a number, and I punched out. The boy was waiting for me at the door. "How’d you get the job?" he asked curiously. "That was secured for me before I showed up there." "Who got it for you?" "‘That Something’," was my answer. "Aw, quit stringing me. How’d you get on? I seen a dozen men trying to get on that work this morning and they was all turned down." "But," I explained with a smile, "they had never found 'That Something'." He again favored me with a queer look. "Where do you live?" he asked finally. "I am going to find a place now." "Well, my maw keeps a boarding house – why don’t you come up to my place?" "I hope you don’t mind my prying," said he, "but I have been trying to figure you out." "Yes?" "I have come to the conclusion that you are a student of sociology." I laughed. "Bobby tells us you are packing boxes down at his store." I nodded assent. "Then of course it is for the study of the conditions of the working masses that you are down there." "Yes," I admitted, "I am very much interested in conditions of the masses right now." "Then you can help me; I am writing a series of papers on that very subject. Will you answer me this, please. What is it that keeps the underdog down? What is it that the upper ten possess that the under ten thousand do not have?" "Why, it’s ‘That Something,’" I answered. "What do you mean? Education? Environment?" Before my mind was flashed the picture of my boyhood. I saw my room on the top floor of a city block building. I saw myself sleeping in the drygoods boxes in alleys, and by the boilers in boats on the river. Yes, I was an alley-cat and a wharf-rat. I saw myself placed at the mercy of five stepmothers and a father engrossed in his science. I saw myself working, gaining little or no schooling. And then, in the twinkling of an eye, the scene changed and I saw that awful room, with a hundred men lying around me on the cold, hard floor. "No," I answered thoughtfully, "it is neither of those things. ‘That Something' is entirely different. I don’t know just what it is, but I am going to find it, pin it down, and then I will tell you more of it." I laid down my hammer, walked over to where he stood, and said, "I am to help you this afternoon." He looked up with a start. "Oh," he exclaimed. "Well, that’s good. I’m glad they have sense enough to give me somebody to help out, at last." He handed me a bunch of papers and made room for me at the desk. The superintendent of the department was out of the room at the time. Presently he returned and glanced at me curiously. "So they’ve got you helping Dickey?" he said. I shrugged my shoulders without looking up, and continued figuring. When I left the room that night, the superintendent of the department joined me. "Say," he said, "I never did get onto how you were put in there. What’s the idea? Working through to learn the business?" "Yes," I answered with confidence, "just that. I am to learn every detail of it." "I thought something of the kind. To which one of ‘em are you related?" "I do not think it wise to discuss that at this time," was my answer. "Oh sure," he hastened to say, "I don't mean to be inquisitive. Anything I can do to help you, let me know." And then he left me. He lacked originality. I helped him. He had been doing things just like the fellow before him. The business had been growing rapidly – practically doubled. We worked out an improved system. We drew up forms; planned out every detail. One day he carried our plans to the man in authority. The man in authority looked at me in surprise. "Who are you?" I handed him my card. "You are packing boxes?" he asked in surprise. "I am in the packing room – temporarily." Then he went over the shipping clerk’s plans in detail. "I think they’re all right. I’ll have these forms sent to the printer in the morning," said the man in authority. As we turned to leave the office, he called me back. "How long have you been in the packing rooms?" "Sixty-three days," I answered. "You’ve been there long enough. There is nothing more for you to learn there, is there?" "No." He studied me for a while in silence. "Funny neither of them has said anything about you," he said at length, speaking half to himself. "I suppose the old man’s idea was for you to work out your own salvation – is that it?" "In a way," I replied. 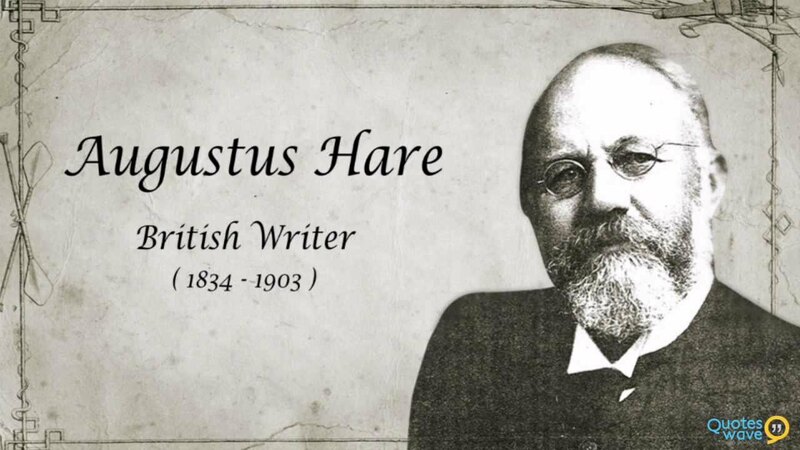 "What any man accomplishes must eventually come from ‘That Something’ within him." He pondered this for a moment. Then he scrawled a few words on a piece of paper. "Hand that to Perkins in the Auditing Department tomorrow morning and we’ll see how you show up there." I thanked him and turned to leave the room. "And say," calling me back; "better forget about my having said anything about your relations with the old man. After all, you see, it’s none of my business." "Certainly," I answered, and left the room. Three month’s later, I left Bob’s mother’s boarding house. It hurt me to do this. She had been almost a mother to me. There was a home life about the place which I had learned to love. Even the little hairy Ology Professor and his fanciful theories had become dear to me. But ‘That Something’ demanded that I move on. So I moved on up the hill. And so a year rolled ‘round. It was the time Perkins took his vacation. I was given the place until he returned. One day the old man came into the office. He looked at me keenly. Soon the man in authority came in; the old man called him aside. I overheard a portion of their conversation. "Who’s the man at Perkins’ desk?" the old man asked. The man in authority mentioned my name. "Funny I never heard of him before." The man in authority gasped. The rest was spoken in guarded tones, and I heard no word further. "Say," he began, "you’ve certainly got me locoed or something of the sort. I have been figuring you all along as a ward or a long lost cousin of the old man. Now, today he comes in and jumps on me about putting you in this place of responsibility without first knowing all about you. Of course, I know you’re all right but, by Jupiter, I’m placed in a deucedly unholy kind of light." "What’s all the trouble?" I asked. "My work going wrong?" "I should say not; but that’s aside from the question. What’s got me going is how the dickens you did it. How you got to hold down the most responsible job on the works without anybody knowing just what you really are. Tell me about yourself, will you?" "I was born of poor but honest parents in a small coal-mining town of What Cheer, Iowa, in the year 1881. My father peddled fish in a wheelbarrow; my mother died when I was one and one-half years old –". "Oh, cut that bunk. Tell me to whom you are related, or who is backing you up. It’s pull that counts these days. Who gave you your start with the company?" "Funny Randolph never mentioned your name to the old man. Anyway, I wish I’d known this when he was talking about you today." "I’m glad you didn’t," I answered with a short laugh. "Why?" he asked, puzzled. "Go there to the phone and call up Randolph. I think he’ll tell you why." "But–" he began. "Go on and call him up. I want you to," I insisted. "Ask him," I insisted. The man in authority did so. I watched the changing expressions on his face. "You-say-you-never-heard-of-the-man!" gasped the man in authority. "Why, he’s holding down the most responsible job on the place." "You may also remember telling that beggar that it was not food he needed – it was ‘That Something,’ and that alone. Well, Mr. Randolph, I am the beggar to whom you spoke and I have found 'That Something.’ I have learned to use it, and I want to thank you for having shown me the way. When may I have the opportunity of telling you about it?" "And now tell me just what you think ‘That Something’ really is?" I shook my head in dismay. "You folks know as much as I do about it," I answered. "But of this one thing I am convinced, through and through. It is real human power, as truly real as the commercial electrical current. It is the power of the inner man, the fuel of the soul machine. It is the one thing necessary. Until we awaken ‘That Something’ of the soul, we bear on our muscles those who have found ‘That Something.’ And we bear them on up the mountain to take their places among the masters of men. ‘That Something’ lies dormant in every soul until aroused. With many, it sleeps until the last great sleep. Sometimes it does not wake until the man stands tottering on the border of the grave. Sometimes it is found by the child playing by its mother’s knee. A man’s success depends alone on ‘That Something.’ ‘That Something’ of his soul. Abraham Lincoln found it when a lad. It warmed the cold floor on which he lay and studied. It added light to the flickering glow of the wood fire, that he might see to read. It spurred him on, and on, and on. ‘That Something’ is an awful force. It made of a puny, Corsican the ruler of the world! It made of a thin-chested bookkeeper the money king of a great country! It made Edison the great man of his age! It made Carnegie! It made Woodrow Wilson! It made Roosevelt! It can make you! It is now in your soul! Awaken it – now! ‘That Something’." Again the silence followed. I watched the professor of many ologies. I saw the kindled fires in his eyes gradually die out. He shook his head wearily. "No, it can’t be done; it can’t be done," he murmured. "I have drunk deeply of the cup of life and I am now drinking the dregs. The cup is filled but once, and when it is gone there’s nothing left but the dregs of old age and poverty." "You fool," cried Randolph, leaning forward and shaking the little man roughly. "You almost had ‘That Something’ in your power, and now you sing it back to sleep with your silly song of pessimism. It’s the false philosophy, which such as you sing, which has kept men in the ruts of their own digging for centuries past. Wake, man, wake! Wake ‘That Something’ within your soul!" The two men sat looking deeply into each other’s eyes. It was the little man who broke the silence. "Thank you, Randolph," he said quietly. "You are right. I will." "Man, write that story you’ve told us. Write it so that every man may read. Send that message out into the world. If men will read that story, read and reread, until it is written on their memories; if men will believe the message you bring, and then if they will but awaken that something within their souls that now lies asleep – I say if you can make men do this, you will have done more for mankind than any man or any thousand men have done in many, many years. Write it, man, write it word for word as you have told it here, so every man my read. Write it, man, write it!" We live is a raw world where nations go to war to grab power and place and people commit adulterous sins which lead to even more devastating sins where lives are destroyed and ended. Some of those people have the hand of God upon them and they wrestle with their humanity on the battlefield and off. I am not for war. I am for peace. However, the story is raw and real and about real and really raw people. David was the king and the leader. He was supposed to be somewhere else fighting another battle when he was in a position to fight the battle of his life - and lost. What if he had been where he was supposed to be? He was not in his place and so he had to fight his battle within. Whether it was right to go to war every spring just because it was spring is a matter for another discussion. The point is that he had a role and was not playing it and so, in the wrong place at the wrong time, his eyes fell upon Bathsheba and he wanted her. His lust was greater than his sense of duty, responsibility , and integrity. It was greater than his loyalty to a loyal friend. It was greater than his will power. It was greater, in the moment, than his own strength and he did not cry out to God for strength. That is because lust is a strange meeting place of need (or distorted perceived need based upon real need) and arrogant power than pivots the universe around our own egos. He wanted it and he could have it ... so he took it. There will always be a battle unless we surrender to the enemy of our souls. Sometimes the bad choices begin when we choose to stay home and not be where we are supposed to be. Steadfast love and faithfulness met and righteousness and peace kissed each other. John 13:34 -“A new command I give you: Love one another. As I have loved you, so you must love one another. Romans 12:10 -Be devoted to one another in love. Honor one another above yourselves. Romans 13:8 -[ Love Fulfills the Law ] Let no debt remain outstanding, except the continuing debt to love one another, for whoever loves others has fulfilled the law. 2 Corinthians 13:11 -[ Final Greetings ] Finally, brothers and sisters, rejoice! Strive for full restoration, encourage one another, be of one mind, live in peace. And the God of love and peace will be with you. Galatians 5:13 -[ Life by the Spirit ] You, my brothers and sisters, were called to be free. But do not use your freedom to indulge the flesh; rather, serve one another humbly in love. Ephesians 4:2 -Be completely humble and gentle; be patient, bearing with one another in love. 1 Thessalonians 4:9 -Now about your love for one another we do not need to write to you, for you yourselves have been taught by God to love each other. 2 Thessalonians 1:3-[ Thanksgiving and Prayer ] We ought always to thank God for you, brothers and sisters, and rightly so, because your faith is growing more and more, and the love all of you have for one another is increasing. 1 Peter 1:22 -Now that you have purified yourselves by obeying the truth so that you have sincere love for each other, love one another deeply, from the heart. 1 Peter 3:8 -[ Suffering for Doing Good ] Finally, all of you, be like-minded, be sympathetic, love one another, be compassionate and humble. 1 Peter 5:14 -Greet one another with a kiss of love. Peace to all of you who are in Christ. 1 John 3:11 -[ More on Love and Hatred ] For this is the message you heard from the beginning: We should love one another. 1 John 4:7 - [ God’s Love and Ours ] Dear friends, let us love one another, for love comes from God. Everyone who loves has been born of God and knows God. 1 John 4:11 -Dear friends, since God so loved us, we also ought to love one another. 1 John 4:12 -No one has ever seen God; but if we love one another, God lives in us and his love is made complete in us. 2 John 1:5 -And now, dear lady, I am not writing you a new command but one we have had from the beginning. I ask that we love one another. Matthew 7:12 -“So whatever you wish that others would do to you, do also to them, for this is the Law and the Prophets. What child is this? During the season of Advent, it is a legitimate question. Christmas is not International Babies Day where we affirm the essential goodness and hope that gathers around each new birth. That would be fine, but we are dealing with something far more significant than that. Our lives are at stake. We celebrate the advent of life itself. Jesus is the Bread of Life without whom we slowly whither into lifeless shells of animated emptiness. He is the food that sustains. He is the source of our energy, the giver of nurture, and the fount of health. He feeds us and we grow. He has always been the bread of life. Through Him, the Father created all things and through Him, all things have come into existence and continue to exist. And He is the bread that is broken for us. Not only does He impart life to us, but He lays down His very life for us. What child is this? “This, this is Christ the King,” the essence of “beingness,” and the glue that holds the universe together. He is no mere cute, cuddly baby. As wonderful as that may be. He is the Bread of Life. Peace settles things. It allows right order and relationship and brings vision into focus. It is absolute well being and it is the gift of the Risen Christ. His peace does not merely calm the soul; it enlivens the spirit and prepares us for a calling. In our vision of the resurrected Lord, is a clear and compelling message from God: As the Father sent Jesus into the world, so Jesus is sending us. He came as a servant, we have been sent to serve. He came in the power of the Holy Spirit, we go forth in that same power. He came to do great works, we have been sent to do greater works because He indwells us. He came to die, we die to self that we may live to Him. This commission is neither symbolic nor optional. It is not an addition to His promise of peace, it a result of it and reason for it. It cannot be realized by proxy. We have been commissioned. It is not a matter of preference. We are subject to God’s call. When Jesus declares all authority in Heaven and earth, that is our signal to submit. Our only options are false and presumptuous. His desire is for a great company of reproducing disciples who will follow Him in obedience and teach others to do the same. His promise of abiding presence is the means by which all that He desires will be accomplished. The act of going is built into the equation, but the new element is that all of our comings and goings through life are now purposeful. Everything we do is with new purpose and significance and a new awareness that He is always with us, even to the end of time. "A tomb now suffices him for whom the world was not sufficient." It is uncanny how one's world can shrink from the spacious opulence we consider our birthright to the minuscule confines of a grave. If it was true that Alexander wept because there were no more worlds to conquer then what of the weeping when all the worlds collapse into the vacuity of death? One has no standing to make spiritual pronouncements on the life of another, but his own epitaph makes an indictment that stings with irony. "What shall it profit a man to gain the whole world and lose the essence of who he is?" asked Jesus (and I paraphrase). Death equalizes those shells we confuse with or true lives and the possessions we hope will define us. No high office nor certificate of accomplishment is carried into eternity toward which we all progress. Even our legacies in this world are often evaluated without respect to those accomplishments we deemed most significant. Alexander valued conquest. Whatever we value will write our epitaph for us. Our lives will be summed up in a few short words or a short dash between two dates. Perhaps it can be said of all conquerors that ultimately, they conquered nothing. At the same time, there are men and women who are building legacies that will be go on blessing others long after they are gone. They will have lost themselves to find themselves. They will have invested themselves in something eternal and infinite and, in doing so, in the lives of other. Those who say that does not count are as pitiable as Alexander. Those for whom it matters, can never be confined. They are truly free and truly fulfilled now and forever. The tongue holds a prominent place in scripture – sometimes for the evil it can do and other times as a tremendous force for good. In the New Testament, it is the purveyor of the good news of Jesus Christ. By the foolishness of preaching, the gospel is spread throughout the world regardless of the languages of the people. Fire burns away dross and every superficial thing that vies for attention and distracts from the message of truth. Fire burns in the hearts of those who are entrusted with God’s message so that the message spreads without hindrance and impacts all who are in its path. At Pentecost, God placed His message of grace in the hearts and on the tongues of every believer. Consider the each and the every, the individual and the collective in the experience of Pentecost. God calls us each to worship Him and that is very personal, intimate, and individualized. But He also calls us, everyone, to be part of the whole, to be joined as a body in the ensemble of harmonic voices lifted in unified praise in and through the Holy Spirit to the glory of His Name and the proclamation of His Word. Today, as we come together, we are many and we are one in the celebration of the mystery of the Holy Spirit in the majesty of the Body. We are here at God’s invitation and sent forth with His commission because of Pentecost. Sometimes the word God has for others or for us comes and sits on us. Then, it does its work and we are as amazed as the listeners. We jut don’t know where it came from or how we could be used so mightily – except that God did something spectacular. Often, we don’t know what to say or how to say it. We do not speak the “language” of an acquaintance. We may share a common tongue, but we do not know the language of his or her heart. Words are like triggers sometimes. Careless, even innocent use of some words can push the play buttons on “old tapes” sending the listener into a rage of defensive posturing. More often, we overuse words and speech patterns. The ears of listeners grow dull to the repetitious sound of our religious platitudes and spiritual utterances. What we say is true, but the truth does not penetrate or take root because it is not heard. So, either a wall of defense is build to keep the gospel out or a wall of apathy. Either way, a fire is needed to burn away the walls. At Pentecost, all heard the gospel in their own languages. More important, each person heard the word in the language of his or her heart. It penetrated deeply and cut to the quick. It burned away resistance and complacency with the heat of its passion and the clarity of consuming fury. We need tongues of fire today as well. We need our own souls set on fire by the Holy Spirit who alone can burn through the rubbish of noisy distractions and set the world on fire with the ”buzz” of God’s good news. Do you deeply desire to be an effective witness for Jesus Christ? Give yourself over to God and ask Him, in faith, to speak through you, believing that He will. You will be amazed and people you never expected to pay attention will hear the life-changing message of Jesus. An empty tomb greeted all who came that day. There were plenty of empty tombs in the vicinity. They had never been filled. More than that, they had never been sealed. They had certainly never been guarded by guards who stood watch under the threat of death. This one was different. Jesus had spent some time there – stone cold dead. No one expected it to be empty that Sunday. No one expected the seal to be broken, the stone removed, or the guards absent. And He had tried to tell His disciples ahead of time. However, they had no frame of reference for such an idea. They had no paradigm for resurrection thinking. They were still scratching their heads about Lazarus, but not even that prepared their hearts and minds for what they would find on Sunday … or for what they would not find: His body. These are dark days for many. Many have no frame of reference for hope, no paradigm for resurrection. They see no empty tombs but a vast abyss, a black hole of despair sucking them into to a dark and unknown future. 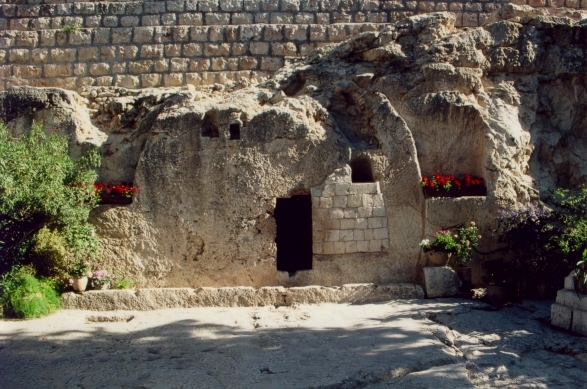 Jesus invites us today to look inside His tomb and remember that He is not there. He is risen. Death will never have the last word for His people; hope is all that remains of His death. Life has overcome the grave. A little effort is like eating a potato chip. Once you start, the next one just seems natural and then the next and the next and the next. The difference is that the potato chip saps you and leads to lethargy and obesity while effort energizes and brings rewards. You don't fill your plate with a huge helping of effort and force yourself to consume it all in one sitting. You graze on it. you take small bites and baby steps. If a little is all you have to give today, you pat yourself on the back and rest with the fulfilling knowledge that you have done something toward your goals. We are not big block people. Most of us can only carry small loads, but we can keep coming back for more. Soon the work load begins to organize itself and we start to see results. The results, even small results, give us such a lift that we can keep going. For five years in a row, our congregation built houses in Mexico one week every summer. When we would arrive on the site, the task would always seem daunting. The first day always involved mixing cement by hand and laying a foundation. It was seemingly endless, tiring, back breaking work, but we could complete it in one day and one wheel barrel at a time. The next morning, we would return to the worksite and were immediately invigorated by the sight of a hard, smooth, finished foundation. Fulfillment - Well spent energy has its own sense of fulfillment built in. the reward is present in the deed. We don't give to get; we get to give! 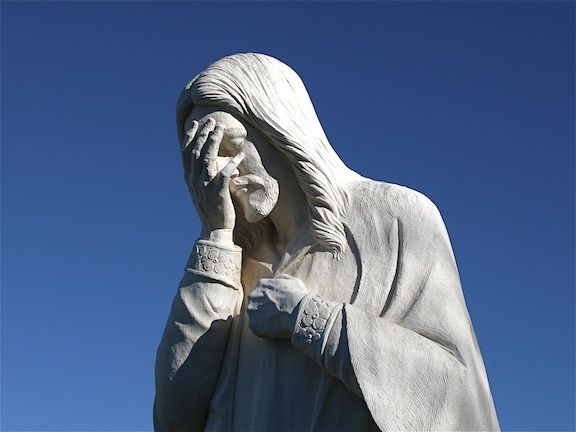 "Survey finds most Protestants believe God wants them to prosper financially. But views diverge on whether they must tithe to receive it." Click picture to read article. If true, this is a deep concern in that it can potentially counter the message of the radical call to lose our lives to gain them, to strive to serve, and to take up our crosses to follow Jesus. That does not mean anti-motivation, no dreaming, no achieving, and no message of abundance. It is, however, a different framework for these. The gospel redefines prosperity and the motivations for it. We do not give to get - we get to give. Perhaps that is an overs implication, but a hint at the distinction. There is a story behind this song.